A beautiful engraved silver plated heart keyring. It measures 80 x 42 x 20mm and comes presented in a gift pouch. To attach your keys directly onto the bar you unscrew the balls at the end. 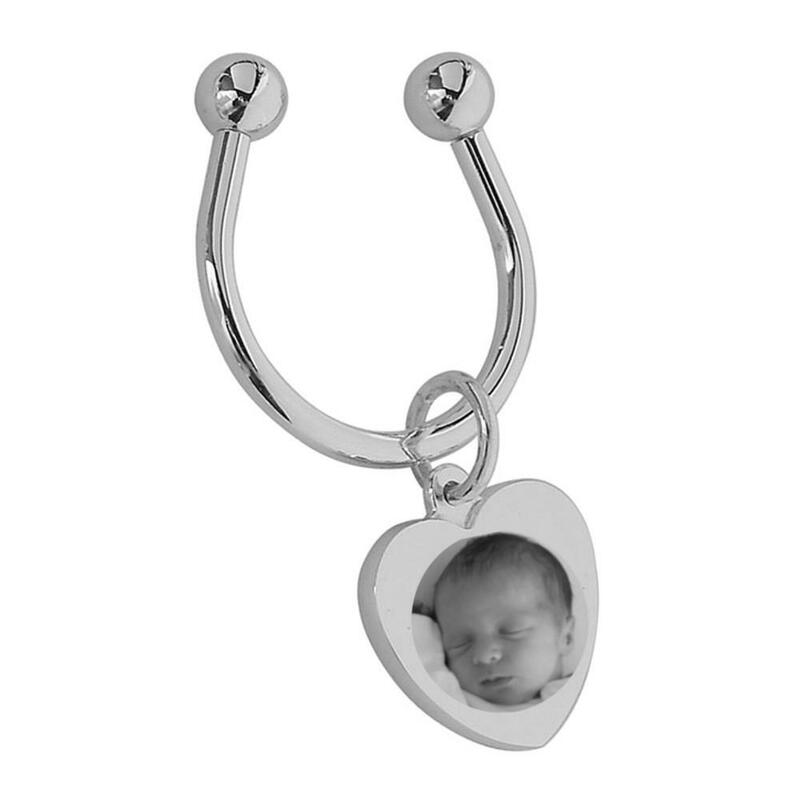 Personalise with your treasured photos engraved directly onto the keyring (please note this is not printed) and engrave with your special message on the back also. With reference to metal engraving, pictures are engraved using the lighter parts of the pictures so what shows as bright or white in a picture the engraving uses this to engrave the metal, anything else is used as a shadow to create the picture. All engraved metal will look better in different lights, different angles as the metal is shiny and reflective. This is for any metals engraved not just key rings, no ink is used at all so there is no colour to any of the product, it is all worked using shadows to create your picture in the metal.